Hello 2015! I had a very restful holiday season and a very productive 2014. I changed jobs, continued to do well in school and checked off most of the goals I had planned for the year. In comes 2015 with a fresh set of dreams and aspirations. Blogging for me in 2014 was just as fun if not more fun than in earlier years. While I don’t have as much time as I once did or post as often as I do I did manage to put out a number of posts I am proud of. Check out the very best of Jamaipanese.com blogposts from 2014 below. Feel free to poke me on Twitter @Jamaipanese or via a comment below to let me know which was your favourite post of 2014! Japanese Language Study comes full circle – Way back in 2006 I started this blog to document my study of the Japanese language and share my interest in Japan. In September 2005 I was enrolled in private classes at a small local language school where I was bouncing off the walls with excitement during each Japanese language lesson I attended after work. Fast forward to the present and even though I have really slacked off on my Japanese language study and regressed since visiting Japan in September 2011 I was excited to learn that there was an opportunity for me to study Japanese again. Lynxx is the new Kitten in town – After months and months without a feline pal I was successfully encouraged by friends and family to rescue another Kitten which I did last December. Its now been just over 2 months since my new tabby arrived at home and while she could never take the place of my Polar she is quite the star in her own right. 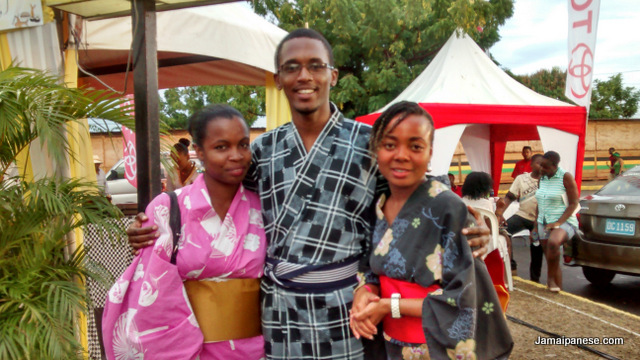 Japan Festival a big hit with Jamaicans – I attended and participated in a presentation related to the traditional Japanese spring/summer wear – the Yukata. It felt good wearing my Yukata and taking pictures with attendees. When it was my time to go on stage I showed off my wife and two kids I somehow acquired in 2 hours earlier. We made the perfect family kitted out in it Yukatas and the overall presentation was well received. New Phone! Moto G – My new Moto G replaces my Samsung Galaxy S4 that was tragically lost while traversing Kingston’s public transport system and was unable to be recovered. I had to revert to old faithful (HTC Legend) for a while but now the Moto G is the smartphone boss in town. I promise to not lose this one ok? 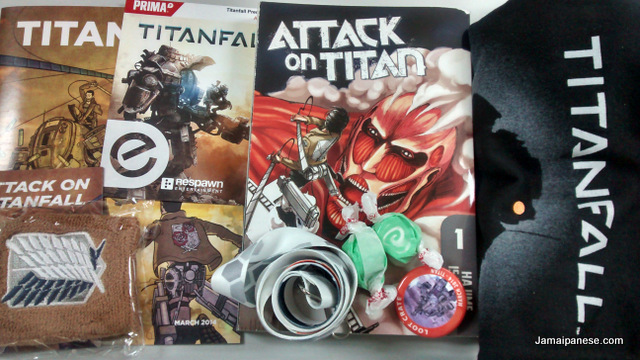 Loot Crate – March 2014 – “Titan” – After a few months hiatus after being disappointed by my August 2013 Loot Crate I took the dive again an acquired the March 2014 crate. I must say loot crate lost a few points in my book due to poor customer service but with the help of a super special secret agent based in the states I FINALLY managed to acquire it one month late but with a special surprise. JAPAN: Kingdom of Characters – Exhibition Photos – Organised by the Embassy of Japan in conjunction with the National Gallery of Jamaica and the Japan Foundation, the exhibition commemorates the 50th anniversary of Japan-Jamaica diplomatic relations and is also part of the National Gallery of Jamaica’s Fortieth anniversary programme. Godzilla – The King of the Monsters – As a child I remember watching very grainy, poorly translated movies featuring what looked like a giant dinosaur fighting other giant creatures while destroying the city of Tokyo. He fought everything from three-headed dragons (King Ghidorah) to the mechanized version of himself (Mechagodzilla) and he was both terrifying and cool at the same time.My young mind couldn’t quite figure out if he was a hero or a villain – one minute he was being fired upon by humans the next he was drop kicking a giant squid emerging from Tokyo Bay. 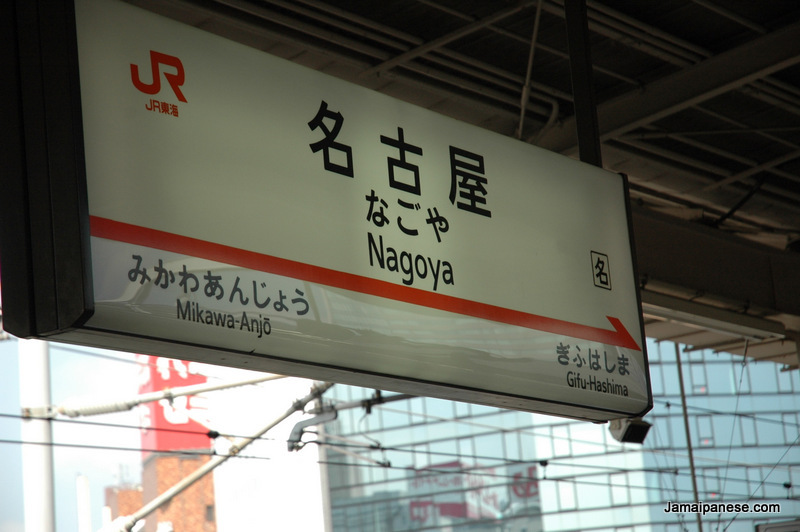 Why did I fall in love with Nagoya? – I have trouble believing that my trip to Japan is now almost 3 years ago. I used to be able to say I visited Japan this year, then I had to say last year, then year before last now In May 2014 all I can say is I visited Japan a few years ago. I reminisce and relive many of my experiences and emotions of my September 2011 trip to Japan a lot, its a constant source of inspiration and one of the achievements in my life I am very proud of. 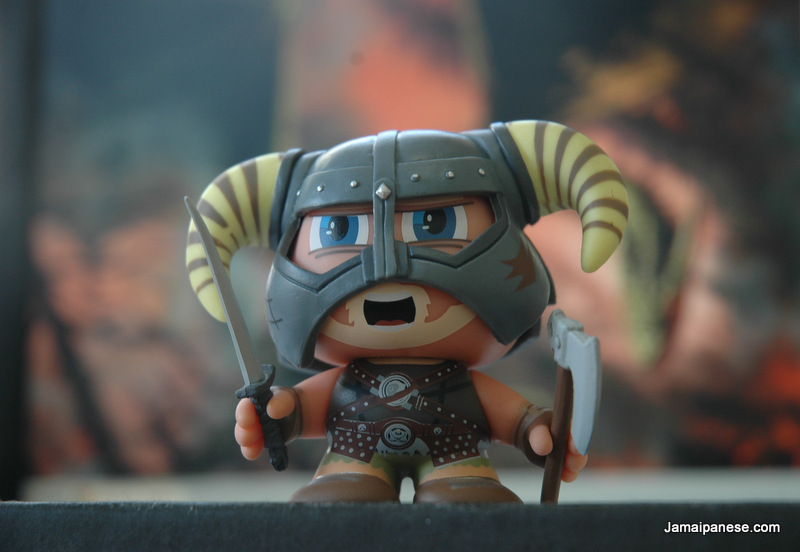 9 Reasons why I am a huge Game of Thrones Fan – I was tempted to do another “favourite X number of characters from season 4″ post similar to the one I did for my 10 Favourite Game of Thrones Characters from Season 2 but alas with half those characters dead I thought it would be best (for my heart) to share a post on some of the reasons why I am a huge Game of Thrones fan. With such a long break until season five I’m always up for some epic (mostly spoiler free) Game of Thrones chatter on Twitter@Jamaipanese or drop me a a message or a comment below and tell why you like (or dislike) The Game of Thrones TV show. Berserk Golden Age Arc I The Egg of the King – Guts, an immensely strong sword-for-hire, has little direction in his life, simply fighting one battle after the next. However, this all changes suddenly when he meets and is bested by Griffith, a beautiful and charismatic young man who leads the Band of the Hawk mercenary army. After Guts joins the Band and the relationship between the two men begins to blossom, Casca, the tough, lone swordswoman in the Band of the Hawk, struggles to accept Guts and the influence he has on the world around her. Second Year of College Vanquished – Year number two for me in college has come and gone probably even faster that year number one did. Year one had all the excitement and “newness” while year two was a challenging reality check that caused a few stumbles but I was strong enough to not fall thanks to the support of family and friends. Obenkyo – Japanese learning App for Android – I have been using Obenkyo on and off for a few months now and it is one of my favourite Android apps to pull out to do a quick quiz. Be in Katakana, Hiragana, Kanji, particles, grammar, numbers or vocabulary the app provides a well rounded platform for disciplined practice. Anime Nation 2014 – Year after year the venue and facilities have improved to match the growing crowd but the true success is in the quality and variety of cosplay this year. All the cosplayers channeled their enthusiasm for their favourite characters to produce some really detailed costumes that would turn heads at any major anime/gaming event in the world from Comic Con to Tokyo Game Show to E3. 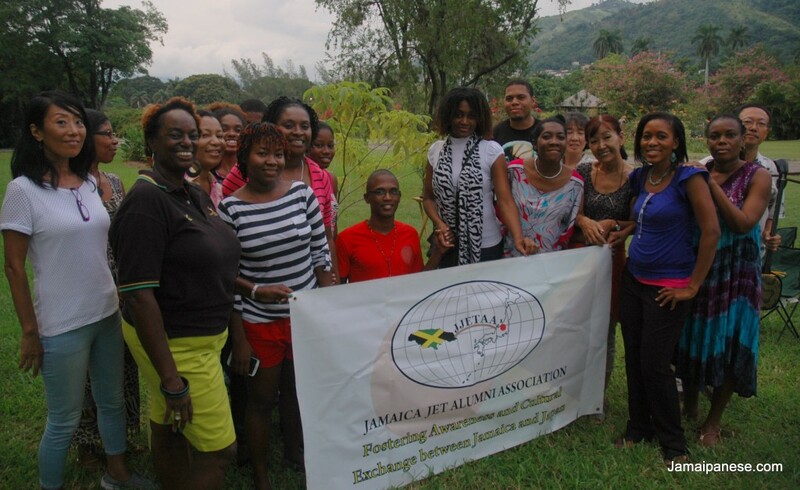 25 new Jamaican JET Participants now in Japan – The JET program continues to be an important cultural link between Jamaica and Japan. I was fortunate enought o be invited to yet another sendoff reception for successful candidates who have now arrived in Japan as part of the Japan Exchange and Teaching (JET) Programme. Aldnoah.Zero – Mecha Anime done (mostly) right – Twelve episodes of this seasons breakout anime hit Aldnoah.Zero has come and gone. In my first impressions post about Aldnoah.Zero I noted that it had the foundations of what could develop into a good story and had some interesting characters. I happy to say that the anime lived up to my expectations and is easily the most talked about anime within my (small) anime-loving circle of friends and via social media. Speed Drawing Gatchaman with Masami Suda – Long time veteran of the anime/manga industry in Japan Masami Suda was the special guest and a big attraction at Anime Nation 2014. He signed autographs, participated in lengthy question and answer session, critiqued the artwork of local artists. He also drew a character from Science Ninja Team Gatchaman or “G-Force” as it was known here in Jamaica and most of the west. 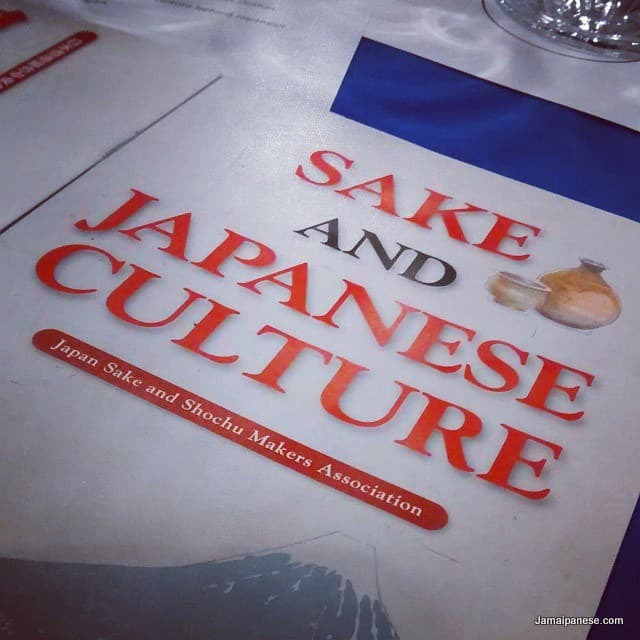 Japanese Sake presentation and tasting event – On Thursday November 6th 2014 I was invited to a special Japanese Sake presentation and tasting event put on my the Japanese Embassy and hosted by the Jamaica Pegasus Hotel. 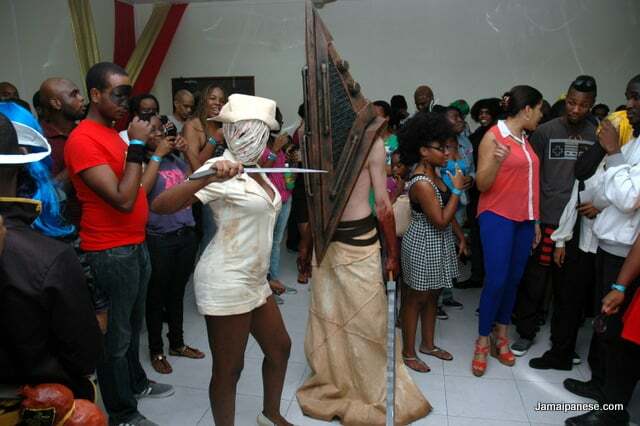 The event was part of ongoing celebrations that mark the 50th year of diplomatic relations between Jamaica and Japan. Two special guests direct from Japan were present. Keisuke Irie who was representing the Japan Sake and Shochu Makers Association and Noriyoshi Nagai President of Nagai Sake Inc.
Picnic by the Pouii with the Jamaica JET Alumni Association – Picnic by the Pouii 2014 was a great event punctuated by good food and friends from the Japanese Embassy, Japan International Cooperation Agency, University of the West Indies and more. The highlight of the afternoon was a well fought game of charades in which my team (The Samurai) defeated the Kamikaze in a very entertaining matchup. Looking forward to Picnic by the Pouii 2015 and thank you to the JJETAA executive for the invitation! Throughout this awesome scheme of things you’ll receive a B- just for effort and hard work. Where you misplaced everybody was first on all the facts. You know, people say, the devil is in the details… And it could not be more accurate in this article. Having said that, let me reveal to you exactly what did do the job. Your writing can be pretty convincing which is most likely the reason why I am taking an effort in order to comment. I do not really make it a regular habit of doing that. Secondly, although I can see a leaps in reason you come up with, I am not really convinced of how you seem to connect the ideas which produce your conclusion. For right now I will, no doubt subscribe to your point but wish in the near future you actually link the facts better.